You may want to edit a user's email address on Educa if you accidentally spelled it wrong in their invitation, or they have since updated their email. This article will help you to do so, however it is done differently depending on their invitation status. 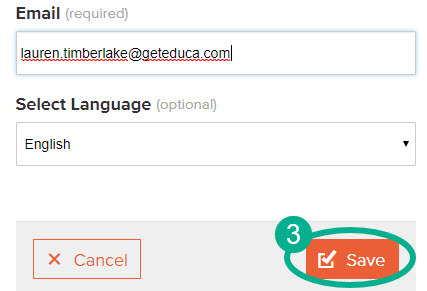 If they have accepted their invitation and already have an Educa account on your site, only they are able to change their email address, which can be done by logging in and changing it through their Account Settings. For more information, please refer them to the help article here.